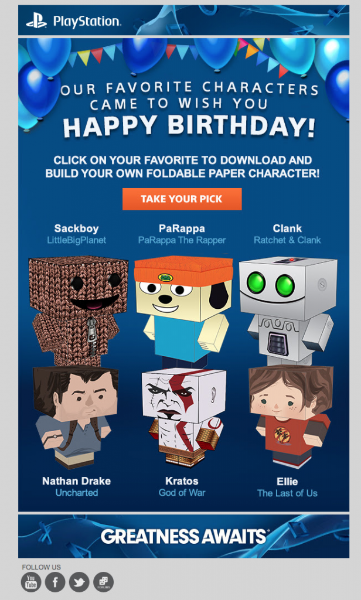 It’s a PlayStation Anniversary, and Sony are ready to remind you. Can you name a company that treats fans so well? Probably not! Sony love to give you a surprise, and a Birthday is a special occasion, after all. That’s why Sony are reminding you that your special day should be rewarded. The current options are available below – take your pick. The cut-and-assemble gaming characters are totally selectable by yourself – which will you choose?